Charles Porten is a Chartered Financial Analyst, investment expert, and former Registered Investment Advisor, with more than 30 years of experience in portfolio management of trust and advisory accounts, brokerage accounts, hedge funds and mutual funds, due diligence procedures and compliance issues. 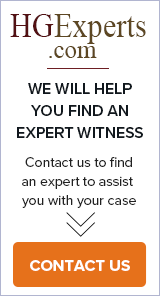 Ansbacher provides expert witness, litigation support and project management for complex securities litigation. Areas of expertise include: hedge funds, derivatives, suitability issues, financial markets, and risk management. ERISA's Title I, focusing on private sector health and pension pla, including 401(k), 403(b), profit sharing, money purchase and Taft-Hartley plans HIPAA and C, Employee Benefits, SOX. Briggs & Veselka Co., P.C. Provide expert testimony for business litigation and family law litigation including business valuation, tracing, inventory preparation, damages, shareholder oppression, etc. Tom O’Brien, Conflict Resolution Specialist, provides expert witness testimony concerning labor relations and employment law. Mr. O'Brien is currently in private practice as an arbitrator, mediator, and expert witness. He also serves as a consultant with C. Richard Barnes and Associates, LLC.